I love, love, love this human. I love that she's become such a wonderful friend to me over the last year, and I love that she is so supportive of everyone in her life. From the moment I saw her wedding dress, I couldn't get over how truly bridal it looked. And heavy! Do you guys realize how heavy those wedding gowns are?? I didn’t have a traditional wedding dress, but if you get a wedding gown with more than one layer, be prepared because it’s going to be like carrying around a bag of weights tied around you. 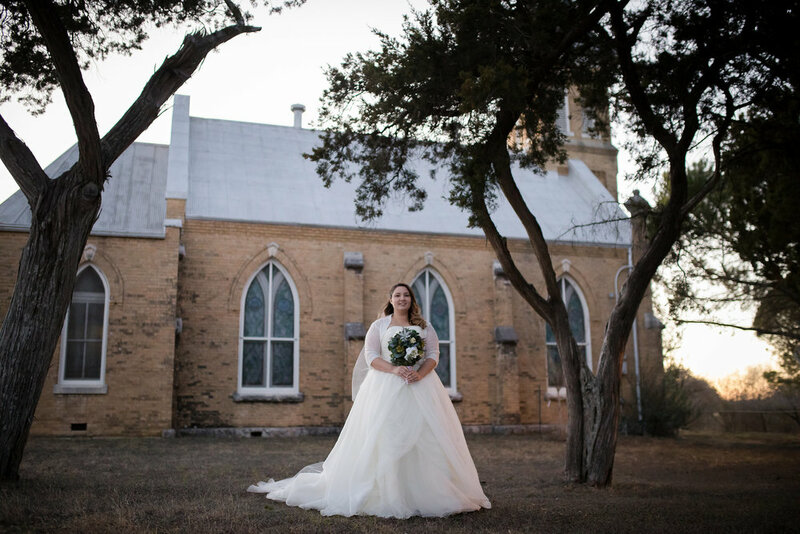 Anyway, it was an unseasonably cold day in San Antonio, and we drove way out to this historic old chapel that I knew of to get these sunset shots. I love them all, and I’m so honored that my friend let me be such a big part of her wedding experience!